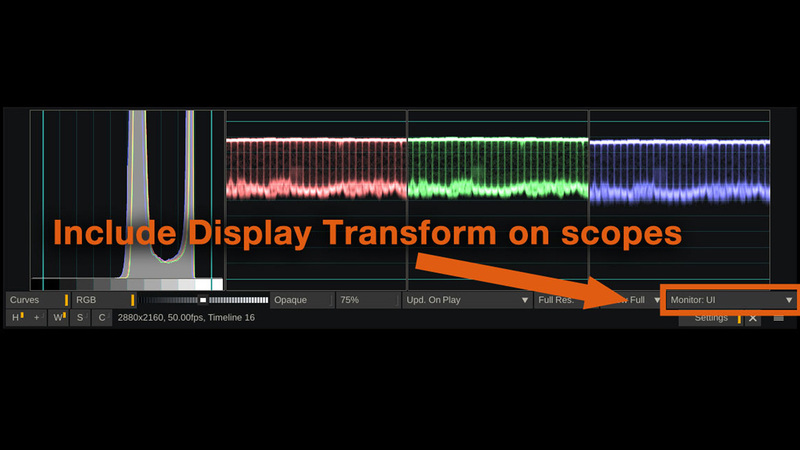 By default, the scopes in SCRATCH show the current clip in its native color space. In these cases, click the settings button on the scopes panel and set it to monitor after the UI-, or SDI- output. In the case of an ACES clip, the scopes will now measure the image after the Display-transform to Rec709 (or whatever you have set your display output to).